Commissioner Brendan Carr – “Mr. 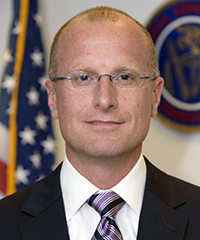 5G” – is leading Federal Communications Commission efforts to help make 5G a reality for American consumers and small businesses. 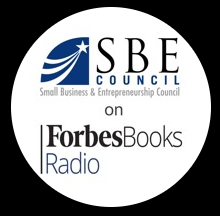 In this special SBE Council-Forbes Books Radio podcast, FCC Commissioner Brendan Carr joins host Gregg Stebben for a discussion about the “Race to 5G,” why it is important to the U.S. and small businesses, and steps the FCC is taking to modernize policies that will reduce red tape to unleash the investment that is necessary to accelerate 5G’s availability in the marketplace. Why Winning the Race is Important to the U.S. The FCC has been very focused on winning the race to 5G. There are countries around the world that are vying to be first. Why is that? Everyone wants the benefits that are going to come for small businesses and consumers. Obviously, there are competitive advantages. There are other first mover advantages. There’s a tremendous amount of investment that’s needed for 5G, and that will flow first to those countries in regions of the world that are ready. How 5G Will Foster Entrepreneurship and Innovative Technologies. 5G will unleash a new wave of entrepreneurship and innovation, and support cutting-edge innovations that you are now only reading about – whether it is autonomous cars, the internet of things (IoT), improvements to help drones function, health care applications. 5G is an exciting development, and one of the FCC’s top priorities. Why Policies Need to Be Modernized to Pave the Way for Deployment. It is estimated that it will cost approximately $275 billion in private sector investment to get 5G across the finish line in the United States. The FCC has been very focused on making sure that current infrastructure polices are modernized and smart enough to support the new deployment of wireless infrastructure. The Impact for Consumers and Small Businesses. 5G is going to be transformative for small businesses. During the first wave, expect to see increased competition for your high speed broadband where you may be currently limited to one or two choices. Then, there will be the next wave of innovation, and at this point it’s difficult to drill down specifically on the types of innovative deployments and services that will emerge but generally small businesses will experience these in distinct areas such as autonomous cars, new ways of delivering health care, which will drive costs down, and other services that make operations more efficient and less costly. SBE Council is fully supportive of FCC efforts to expedite the rollout of 5G, both in terms of modernizing policies that will reduce regulatory costs associated with infrastructure deployment and releasing the spectrum that is an essential part of making this happen. An important vote will occur on infrastructure modernization on September 26. Entrepreneurs Applaud FCC Vote to Help Bring 5G Rollout Closer to Reality, Media Release, July 12, 2018. SMALL BUSINESS INSIDER blog post: “Key Pieces to the 5G Puzzle”, July 11, 2018.